Chair yoga is perfect for people who cannot get on the floor for whatever reason (sitting on an airplane, crowded office environment, recovering from injury, Seniors etc). Chair Yoga is also perfect for those who find transitioning from sitting to standing to lying down to sitting difficult. The chair replaces the yoga mat and becomes an extension of your body and allows you to take full advantage of yoga’s amazing fitness and health potential. All levels and drop-ins are welcome. Let’s face it, we love to snack! Snacking smart throughout the day is a great way to curb hunger between meals at home, in the office or just out on the go. For a healthy lifestyle, it is essential to choose the right snacks that sustain your energy and also provide good nutrition. That’s why we’ve asked the instructors and staff at YoLA to share some guilt-free, wholesome snacks they like to enjoy! Green apple and Almond butter, or homemade Flax crackers with guacamole or hummus… yummy. I always have organic mixed raw nuts, goji & mulberries ready for me in my car. • Almonds, nuts, & edamame (I always have a bag of organic raw almonds with me to eat between clients and classes). • Steamed broccoli with cottage cheese, or low-fat or non-fat Greek Yogurt with fresh strawberries are both definitely snack staples for me. Cottage cheese & yogurt both have exceptionally high protein contents, and are very high in calcium to keep our bones strong & well. They have a low fat to carb ratio, and broccoli is probably one of my all-time favorite foods. It is loaded with essential nutrients & therapeutic properties. • Hummus & carrots are another favorite snack of mine. Carrots are an excellent source of vitamin A, providing 210% of the average adult’s needs for the day. Best snacks for me-nuts and dried fruit! I like to snack on roasted seaweed when I’m craving something a little salty (I could eat that stuff all day!). Seaweed is so great because it is packed with essential vitamins and minerals. It’s also high in protein and fiber. What’s not to love about that? When I’m craving something a little more sweet and refreshing I always turn to a delicious, sweet navel orange. I like to mix my own trail mix. It varies each time I make it but often includes soybeans, peanuts, dried fruits, sometimes a little chocolate and almonds. I usually start with a premade mix and jazz it up by adding other things. I try to keep the ingredients the same size so it doesn’t settle and all you get is the small items at the end! I don’t snack on-the-go. I sit down and eat a tiny meal or a large meal depending on how hungry the body is.However, there’re foods I have at home that I tend to eat regularly–banana, peppered pastrami, Ozery fruit buns, rice, lentil soup, eggs, and kimchi. Nuts, lightly toasted pumpkin seeds and roasted seaweed! Hardboiled eggs, Peanut Butter, Roasted almonds with raisins! My favorite on the go snack would have to be baby carrots and turkey slices. (I know I’m weird!). My favorite on-the-go snack is almond or walnut, raw or roasted. It’s so easy to get and pack and that’s why I love them. My favorites are raw almonds, pistachios, cubes of reduced-fat cheddar cheese, and dried apricots (because a little sugar isn’t a bad thing!). When I have a little more time, I like a fresh banana smeared with reduced fat peanut butter. I think the on-the-go Snack that I love the most is Trader Joe’s prepackaged nuts. I think they are a great source of protein and energy. Honestly I don’t snack much. Almond butter, honey, and banana sandwich on a whole wheat bagel. 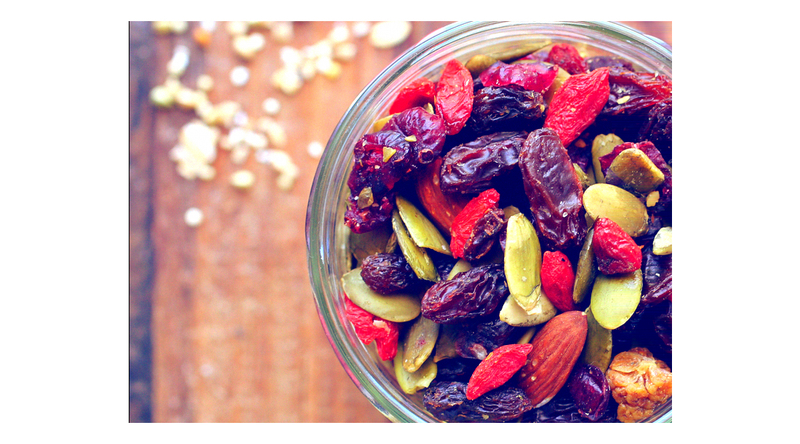 • Homemade trail mix including walnuts, almonds, a bit of dark chocolate and some type of dried fruit including dates or apricots. This coming equinox marks the halfway point between winter and summer solstices. It is a good time to create room for new inspiration-hence, spring cleaning! 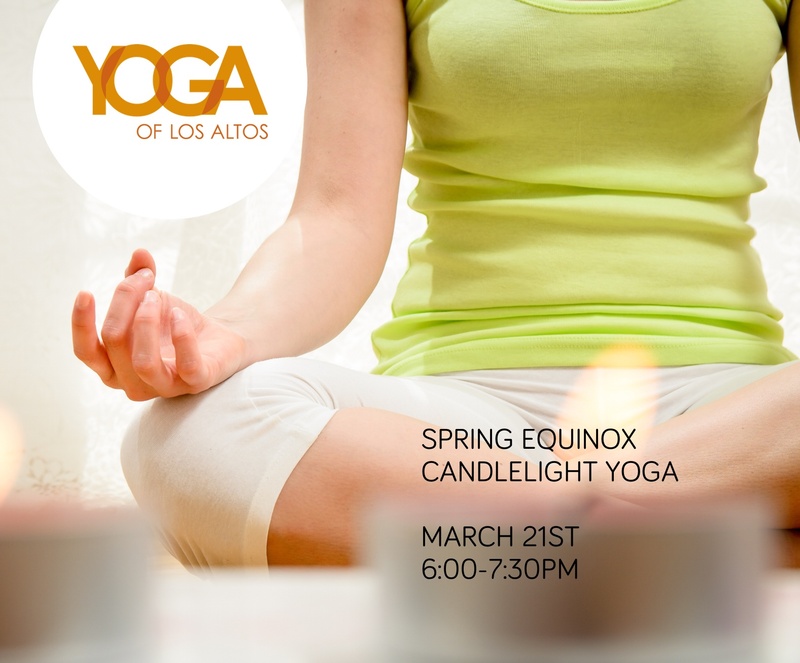 Enjoy a blend of flowing vinyasa sequences, standing poses, and restful floor work as you practice in a room filled with candles! This workshop is for expectant mothers and a partner to engage in a supportive and physical practice. Doris will introduce partner yoga poses, and massage techniques, as well as invovle active stretching of the muscle for working out some aches and pains associated with pregnancy. Our Youth Yoga program offers fun, and non-competitive yoga classes to provide your child with inner resources–such as calming, centering, self-acceptance–building on their gross motor skills while taking on challenges in strength, agility, and endurance, as well as cooperation. Chrissy Graham will teach the basics of yoga and its mind-body techniques, and provide activities that incorporate learning styles such as visual, kinesthetic, musical, and intuitive in a safe, and positive environment. Chocolate covered strawberries, red roses, candy hearts, workouts, these are just a few of our favorite things about Valentines day. Wait…did we say workouts? Yes! Couple workouts! Working out with your special someone has been shown to be an amazing way to share new experiences and also grow together in your relationship. So, to get into the spirit this valentines day, we’ve interviewed some of our favorite couples at the YoLA studio. See what they have to say about their journey practicing yoga and starting a couple workout together! Kristina and Tony have been together for 13 years and married for 10. Kristina had already been practicing for 5 years when they met. Tony joined her for a few classes early on but he didn’t catch the yoga bug then. It wasn’t until 4 years ago when Tony was recovering from his 2nd ACL repair in his left knee that he decided to step on the mat. He hasn’t stopped practicing since! Kristina and Tony moved to Los Altos from Nashville in 2014 and they were excited to find a beautiful studio so close to their home. They both come from athletic backgrounds and like to enjoy a strong Vinyasa class together. How does yoga fit into your relationship/what role does it play? Yoga is something we both really enjoy and it makes it that much better to share our practices. It’s fun to encourage each other and help one another work through challenging poses. We also try to take yoga off the mat and remind us to keep calm, breathe and stay present when life is very chaotic. 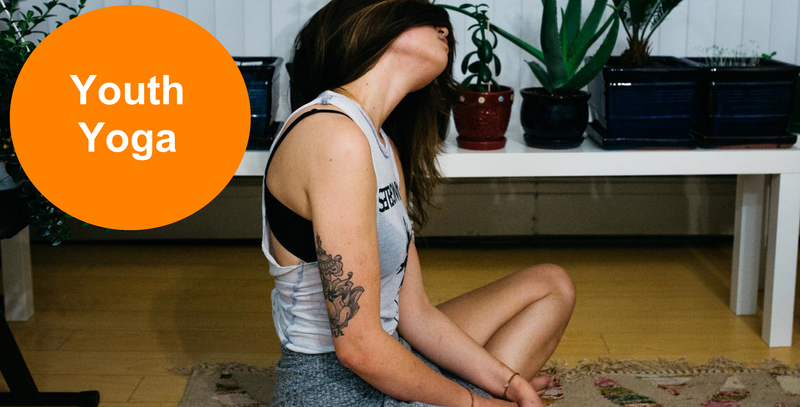 What is your typical routine after a yoga class? With our busy schedule, Saturday mornings are typically the only day we get to practice together. We often run out of the studio to our girls’ swim practice, basketball game or whatever other activity they may be involved. We cherish those 90 minutes! What advice would you give for those starting a couple workout? Tony’s tip: Find something you get out of yoga and something you can give to your partner through your practice. Kristina’s tip: The beauty of yoga is that something can be gained from every class for every body which allows for couples with different skill levels, flexibility and interest to hopefully find enjoyment in a shared class/practice. What’s next? Is there a new yoga class you’d like to try? Exploring a yoga retreat as a couple, especially somewhere near a beach. Kristin and Rusty have been married for 39 years, and they started practicing together about 3 and a half years ago. They like to practice in the Iyengar style and are devoted to Birgit Reimer, so as a couple they came to YOLA to practice with her. Kristin had been to YOLA previously with other teachers. Yoga plays a huge role in our lives because of the time we spend practicing, which is a lot, the time we spend studying the yoga scriptures, the time we spend discussing what we have learned, etc. It is an activity that has really helped unify our relationship. Plus there is no competition in yoga, so that is helpful too. After class we usually drive home and discuss what we practiced and how we feel, then depending on the day have a quiet lunch or dinner and fall asleep or take an afternoon nap. My advise would be to find a teacher that you both love and respect, to focus on your own practice and not what your spouse or partner is doing next to you, if they are next to you, and to just have fun. Appreciate that some poses come to one or the other at different times, do not be discouraged if you partner finds one pose easier than you do. We are devoted to Birgit, so if she decides to try a new class we would certainly do that. We are both interested and practice and teach Yoga Nidra, which is a relatively new practice for us. Anna and Oz met in 1978 and have been married for 33 years. They have been practicing yoga for more than eight years. Anna was going to a massage therapist who recommended that she try some classes at Yoga of Los Altos. After practicing yoga for a few weeks, she no longer felt the need for those expensive massages! Oz was having some back issues and got a set of exercises from his doctor to do at home. Anna looked at them and said, “These are yoga poses. Why not try a class with a real teacher?” He tried it and was amazed at how challenging it was. Practicing yoga resolved his back pain. Yoga is one of the interests we share. Do you have a favorite style of yoga that you like to practice together? Although Anna mainly practices Iyengar and Oz likes Vinyasa flow, we both enjoy Birgit’s Yoga for the Back class on Thursday evenings. After attending different classes on Saturday mornings, we often go for an easy hike on Saturday afternoons. What advice would you give for those starting a couple workout? Try lots of different classes to see which instructors/style appeals to you. Laura and Timon have been together 28 years, married 22 years. Laura started yoga 17 years ago, and Timon started 5 years ago. He has been joining Laura for Rebecca Snowball’s class pretty regularly and occasionally has done some other classes. Laura does a couple other classes a week on her own, all at YoLA. She practiced yoga in Palo Alto for several years until she discovered YoLA in 2004. She tried Rebecca’s Vinyasa class and was immediately engaged by her radiance, loving kindness and her excellent teaching. Her expertise in alignment was particularly helpful to Timon who started yoga after some back issues. At first it was hard for me to share my yoga time, friends and even teacher; I felt a little invaded. I was persistent about maintaining the boundaries that make class a better experience for me, and now Timon flows right along beside me, though he has to arrive earlier than he would on his own! We enjoy the time together, the shared experience and the yoga community. We prefer Vinyasa with a focus on alignment, so we can enjoy the flow of energy but continue to work on our bodies’ alignment in the poses. Really nice combination. What is your typical routine after after yoga class? We shower and zoom off to work! Laura has started classes with Annika and Krassi the past few months and has really enjoyed their unique versions of Vinyasa, ways of teaching and engaging. Timon joins her for those classes when he is able.